Is Showbie down right now? Are you experiencing issues with Showbie? 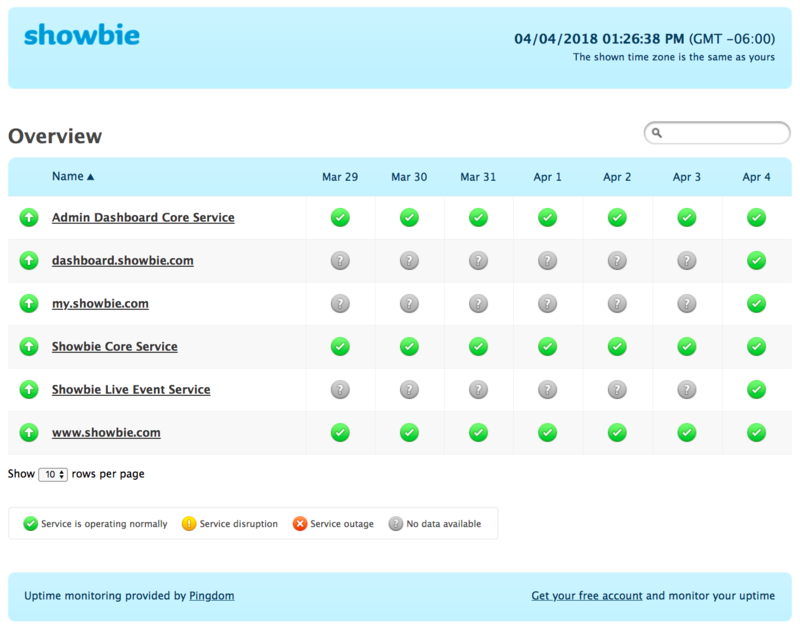 You can now check if Showbie is experiencing a system-wide outage. 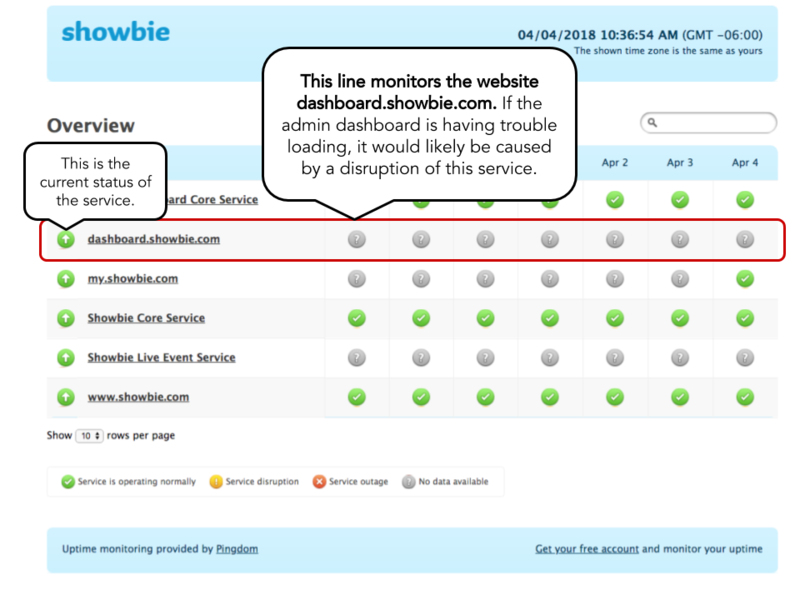 The line you want to look for is the Showbie Core Services. 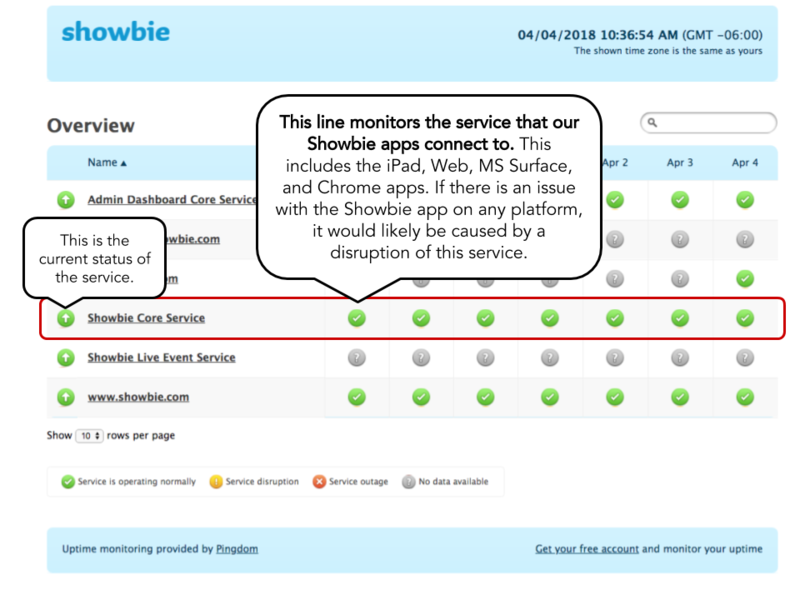 This line monitors the services that connect to the Showbie app. This includes the iPad, Web, and Chrome apps. 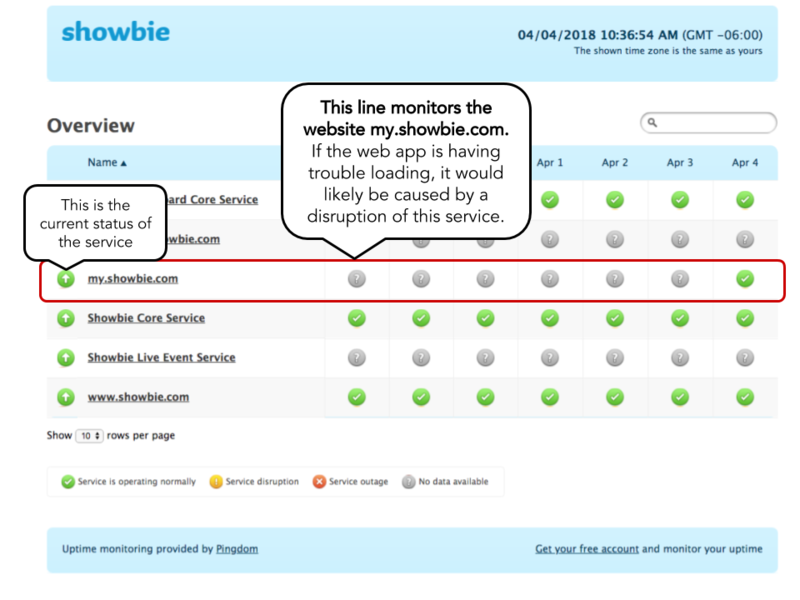 If Showbie (on any platform) is experiencing any disruptions, it will appear on this line. To check the current status of the Showbie app, you want to look at the icon that appears before Showbie Core Services. If the icon is a green check, then we’re experiencing no outages and everything should be working as expected. If a yellow warning appears, that means that we’re experiencing a service disruption that lasted has lasted between 2 minutes and 29 minutes. This might be why you are experiencing issues. 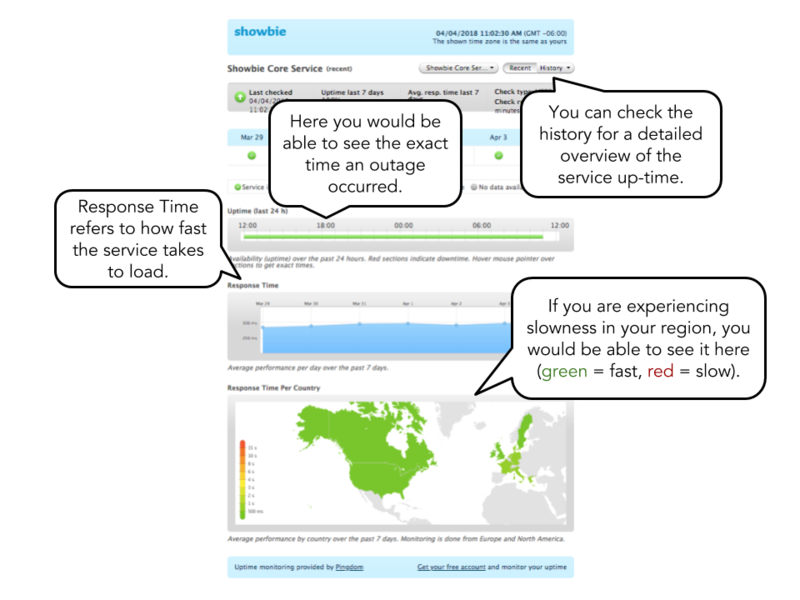 If a red warning appears, that means that we’re experiencing a service outage that has lasted longer than 29 minutes. This would likely be the reason that you are experiencing issues. 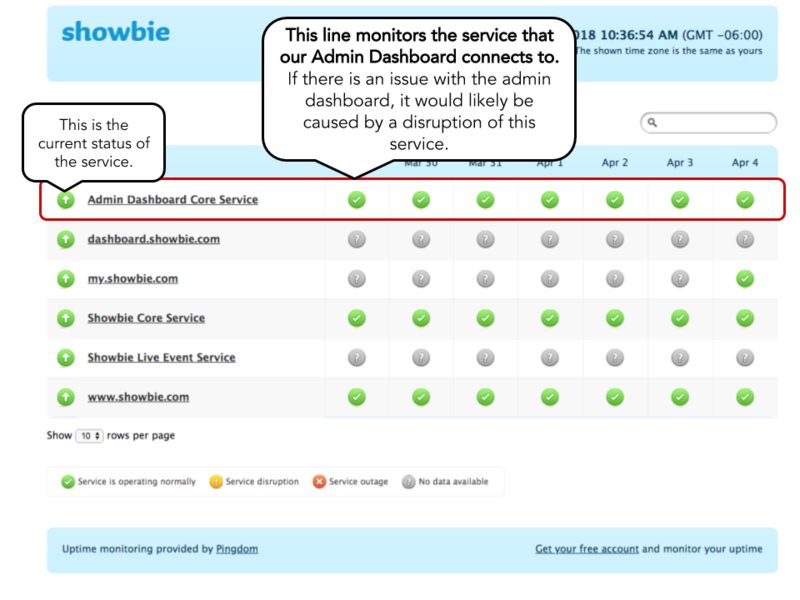 There are some other services that, when disrupted, may cause issues in the Showbie app. You can also click on any of these services, to get more details about the service up-time. 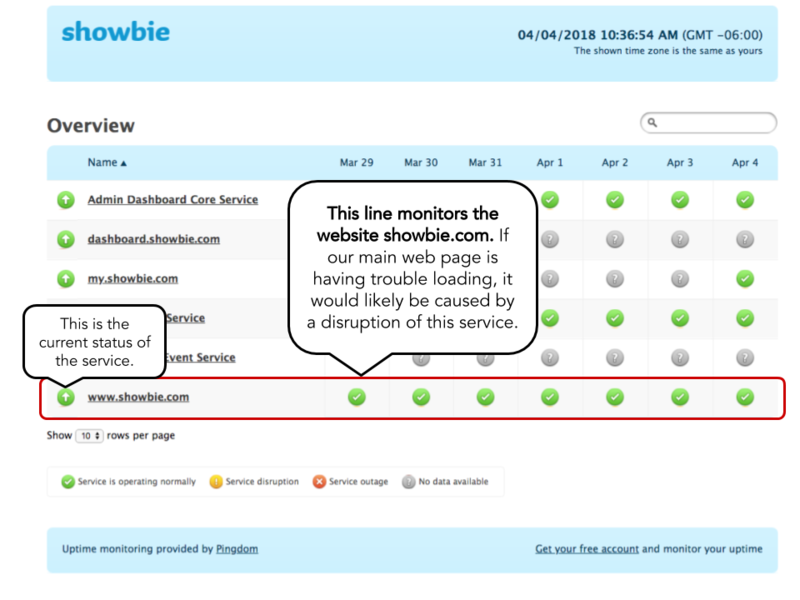 Please note that our team is notified whenever Showbie experiences any service disruptions and you can be sure that our team is working hard to get it back up and running as soon as possible! Check our twitter @Showbie for real-time updates about the disruption. We sincerely apologize for any inconvenience these service disruptions cause. 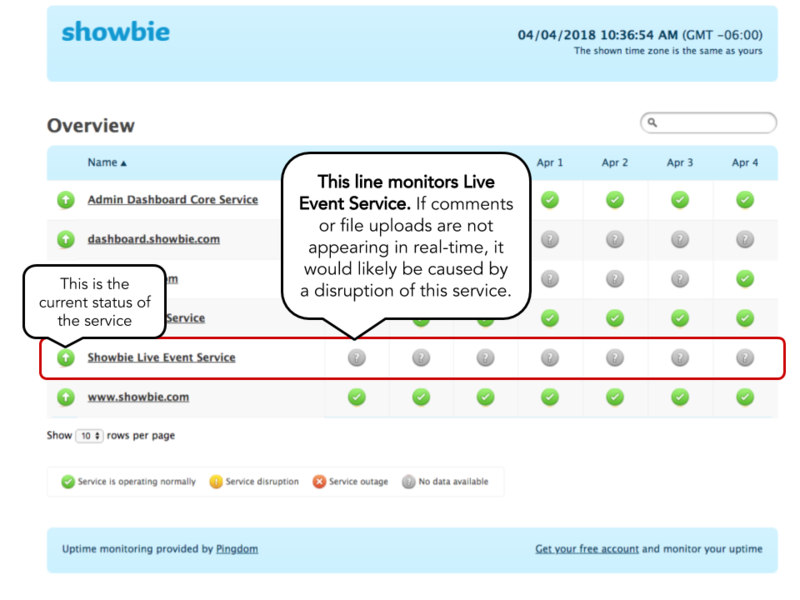 If you are still experiencing issues, and there was no service disruption, feel free to reach out to our support team at support@showbie.com.